The resurrection embodies the power of God available to humanity. The resurrection is God’s imprimatur on the cross-work of His only Son Jesus. The resurrection is something unique to Christianity and something many fail to experience the full effect of because they do not understand its significance. Let’s look at the power of the resurrection and pray God uses it to have its full and powerful impact on your life. The angel calmly comforted those who were learning of the resurrection of Jesus for the first time. The resurrection is powerful and awesome and must have been shocking to those first witnesses. Jesus wasn’t there, “He is risen, as He said.” Those are powerful words. Why are they powerful? It was extremely important that the stone be moved from the tomb entrance and these women learn of the resurrection of their Savior Jesus Christ. Over three hundred (300!) verses are devoted to Jesus’ resurrection in the New Testament. It is extremely important for believers to grasp and recognize the import of the resurrection because without it our faith is futile. The resurrection is the linchpin, the power of the Christian faith. The resurrection is God’s exclamation mark on the work of His Son Jesus Christ. The resurrection is the evidence of the completion of Christ’s work and that it was acceptable to God for atonement and forgiveness of sin. Therefore, what place and purpose does the resurrection have in the life? What power does the resurrection manifest? The resurrection is one of the most well documented and provable events in history and as such unbelievers should take it to heart and come to the Lord. If any skeptic truly seeks out the truth of the resurrection, they will come to see the truth of it. Many have sought to study the resurrection in an effort to refute it only to find that it truly happened just as He said it would and ultimately came to faith in Christ (Matthew 28:6). (See Who Moved The Stone by Frank Morison, a skeptic who came to Christ when he investigated the resurrection). Before you forget about the resurrection and whether or not the gospel is for you, you need to check it out and see for yourself. If you fail to do so, you will not only miss out on the meaning and purpose you were created for, but you will miss out on eternal life. The reality of the resurrection destroys doubts because if Jesus is raised from the dead, than any and all other obstacles to belief in Him are eliminated. The title “Son of God” indicates the relationship the Father had with the Son. The Son was equal to the Father [John 1:1-3,14], yet He, unlike the Father, became a man. In doing so, He put Himself in a position of submission in which He obeyed the will of the Father. The sonship refers to His position as servant, not His nature as being less than God. The resurrection is the Spirit’s way of pointing unbelievers to take notice of who Jesus is, the Son of God, God in the flesh. Jesus is higher than the angels AND IS EQUAL WITH GOD. We see this in the following verses. Now all of this is declared and validated as true through the resurrection of Jesus Christ. Fourth, The Resurrection Proves Jesus’ Teachings Are True, Authoritative and Powerful. 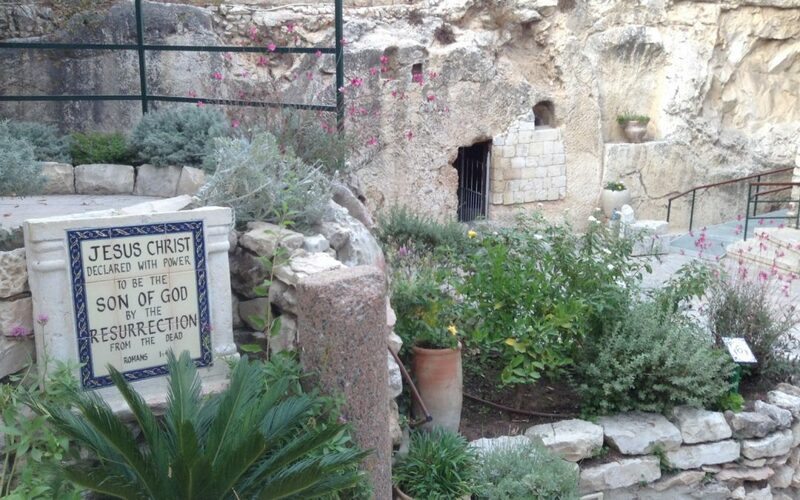 Jesus’ resurrection validates and confirms that what He said was true. Jesus is faithful to His word. Not only that, but the resurrection demonstrates that Jesus has the power to fulfill His word. Jesus walked His talk; He backed up what He said by doing what He said He would do. The promise of the resurrection was something emphasized by Jesus in His mission and ministry. Had He not risen from the dead, all of what He said would have been proven a lie. But since He did rise from the dead, all that He said is proven truthful. Without the resurrection Christianity would be relegated to the scrap heap of all other religions. The power of the resurrection is indispensable to Chr9istiaintiy and is what sets Christianity apart from mere religion (i.e. mans’ pursuit of God) and puts it in the realm of relying on the finished work and power of Jesus Christ in death on the cross and resurrection from the dead. Without the resurrection, there is no redemption or acceptable atoning work because the resurrection is God’s stamp of acceptance and approval on the substitutionary sacrifice of Jesus on the cross. Without the resurrection, what Jesus said and taught are mere empty words. With the resurrection, the words of Christ are full and powerful. Peter preached the gospel fearlessly in Jerusalem, the very City where Jesus had been publicly executed on the cross. What the Spirit used powerfully was the fact of the resurrection. When Peter preached the gospel on Pentecost, the empty tomb of Jesus was just a stones throw away. There was no denying the power of Jesus to fulfill His promise to rise from the dead (Matthew 16:21; Mark 8:31-32; 9:10-11; Luke 9:21-22; John 2:19-22). The resurrection proves the authority and power of Jesus teachings. The resurrection is central to the power of the gospel message. There is no gospel without the resurrection. The gospel has no power without the resurrection. The resurrection is not simply a theological truth or something that happened millennia ago. The resurrection shows us the power of God that is at our disposal in life now! Disciple, you need to know and apply the power of the resurrection to your lives! But there is more to this story. Jesus’ words, “It is finished!” are powerful and packed with truth and substance. But it is the resurrection that validates His claim. Jesus said, “It is finished!” and it is the resurrection that proves the words true. The resurrection of Jesus declares the work necessary to make salvation possible is completed; God’s justice is satisfied. That’s important because it also means, there is no more work to accomplish, there is no more outstanding debt of sin to be paid for those seeking salvation. The sinner does not have to work their way into God’s good graces, they merely have to plead the blood of Jesus, they merely have to come by God’s grace through faith in Jesus and receive the gift of salvation based on the cross and resurrection of Jesus. Glory! Hallelujah! Praise the Lord! Hosanna in the highest! The resurrection makes good works for salvation unnecessary. The resurrection makes purgatory unnecessary. The resurrection makes it possible to come freely, as we are to receive forgiveness for our sins, always. A word of caution and correction; even in Paul’s day people were inclined to abuse and misinterpret this great provision of God (Romans 6:1ff.). While good works and a holy life are not necessary for salvation, that does not mean we have a license to sin. Quite the contrary, God’s grace does not provide us with permission to sin; God’s grace provides us with power not to sin. God in Christ does not save us to indulge our sinful self or be sinfully selfish, carnal and fleshly. God in Christ makes a way to overcome enslaving sin and the sinful self (2 Corinthians 5:14-21). God’s provision of grace in Christ’s cross and resurrection should so impact us with the love of God that we no longer live for ourselves but live lives of loving appreciation shown in the offering of good works and selflessness to God for His glory. This is God’s plan (1 Corinthians 6:19-20; Ephesians 2:10). We have said that the religious leaders of Jesus’ day heaped religious burdens on those who they ruled. Life is filled with burdens that weigh us down. These burdens keep us from soaring with the Lord. How can we rid ourselves of the heavy stony burden? What is it to believe in your heart that God has raised Jesus from the dead? Is it not to trust in faith that the stone meant to shut Him up in that cold hard tomb has been rolled away? It is to believe that Jesus really is able; He has the power to take away your burdens of sin. Confess then that Jesus is Lord for having done this, and that by the power of the resurrection He is able to forgive sin.